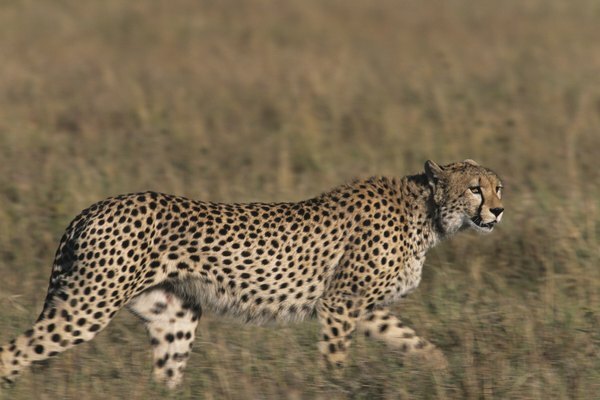 What Is the Cheetah's Food Web? The cheetah is a large species of feline that lives primarily in the grasslands of Africa. 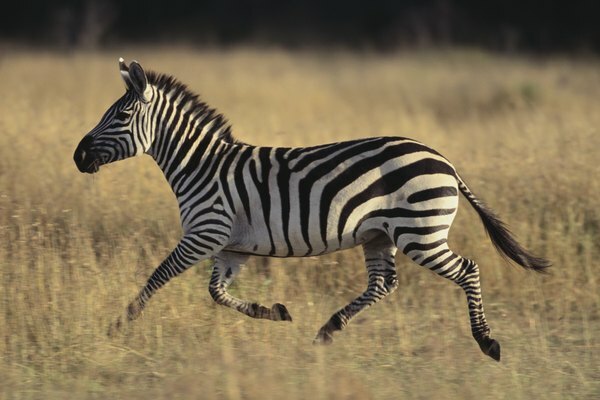 Its speed allows it to chase other animals down for food and to avoid predators. The African grasslands and savannas provide the cheetah coverage when stalking its prey. 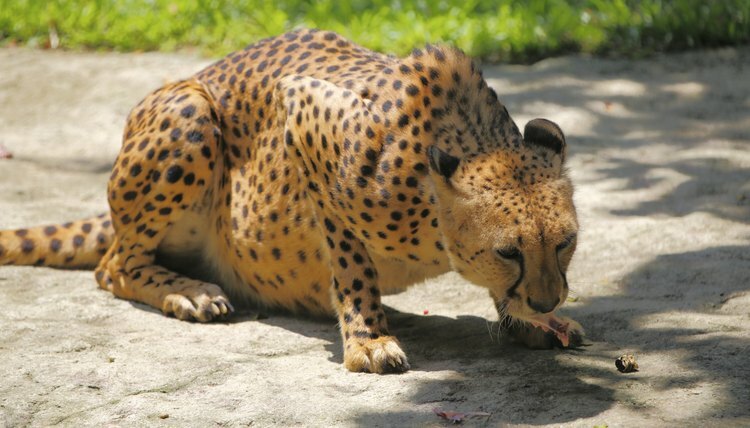 The cheetah then sprints toward the prey and knocks it to the ground, using its teeth to bite the animal's neck. Cheetahs subside on animals such as gazelle, zebras, warthogs, impalas and other smaller prairie dwellers. They also eat birds and rodents on occasion. Animals that cheetahs consume have vegetarian diets. 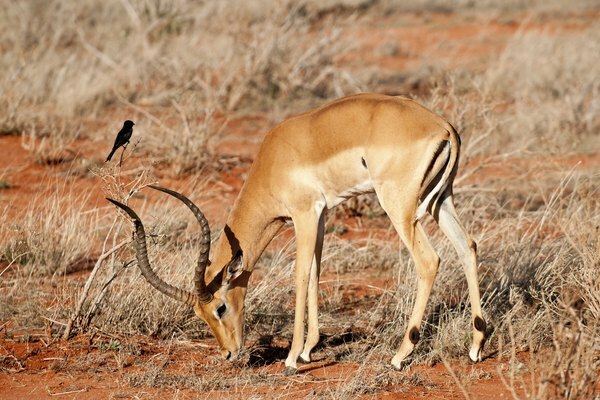 Therefore, the grass and grains these smaller animals feed on get passed on to the cheetah. 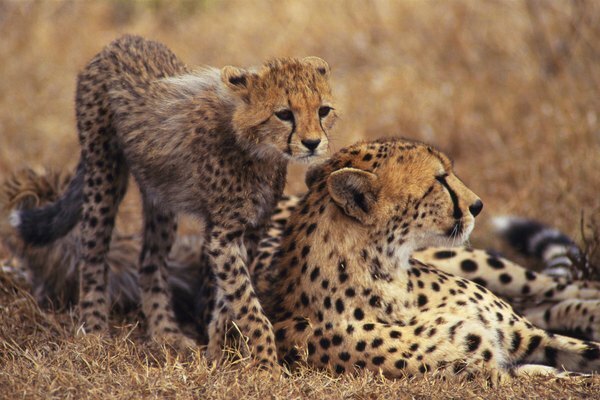 Cheetahs are most vulnerable as cubs and have to avoid predators like lions, eagles and hyenas. Cheetah mothers hide their cubs during the first few weeks of their lives. 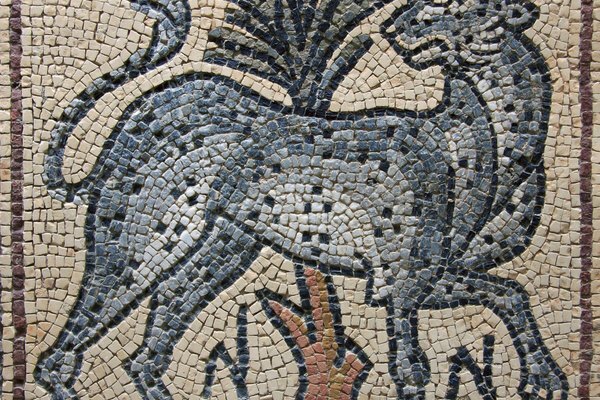 Ancient royalty used to train cheetahs for hunting purposes, and the cheetah appears in many of their drawings.